Forty-one finalists competed in the sixth annual Paris Spelling Bee at the American University of Paris on Sunday, April 7. Spellers in the third to fifth grade (CE2 to CM2) competed in the Gazelles division, while sixth- to eighth-graders (6èmes-4èmes) vied for the Cheetahs title. Left to Right: 2nd place winner Elliot Alibert (G707) and 1st place winner Minsung Cho (G719)) in the Gazelles division of the 2013 Paris Spelling Bee. In the Cheetahs division, 12-year-old Molly Dugan from Ecole Massillon took first prize, while Adhya Sharma and Shreya Smitha from the International School of Paris tied for second place. The three sixth-graders lasted 31 rounds before Dugan won by spelling `mnemonic.’ Before that, she fielded words including accomplice, paramecium, subterranean, psychoanalysis and oxymoron. Sharma, who placed second in the Gazelles division at last year’s Bee, correctly spelled words including adjudicate, circuitous, clandestine and anticoagulant, before missing genealogy. Shreya handled words such as quarantine, omniscient, hysterical, adolescence and photosynthesis before stumbling on chrysalis. Eighth-grader Hari O’Neil from Collège Camille Sèe and sixth-grader Inuri Tennakoon from Collège André Malraux hung on until the 23rd round, tying for third place, before the final three spellers battled it out. from Ecole Notre Dame and fourth-grader Vaishnavi Sridhar from the International School of Paris tied for third, just ahead of third-grader Alex Ravel from Ecole Active Bilingue Jeannine Manuel. Cho fielded words such as interrupt, aught, formidable, incorruptible, exhale, autumn, applause and bereaved, while Elliot correctly spelled haversack, prospective, meticulous, bandersnatch, esteem and exercise. Cho and Alibert are 11 years old. Before the competition began, spellers and guests were greeted with a video message from Dr. Jacques Bailly, the official pronouncer of the Scripps National Spelling Bee in the United States. “Je vous souhaite bonne chance,” said Dr. Bailly, who won the 1980 Scripps championship. Dr. Geoffrey Gilbert, Associate Professor of Comparative Literature at the American University of Paris, welcomed the contestants on behalf of the university. He spoke of the importance and pleasure of words’ origins in giving access not only to the history of a language but also to ways of feeling and thinking that can be a resource as we face the baffling complexities of contemporary global experience. The Paris Spelling Bee thanks all 99 contestants from almost 40 schools in and around Paris who participated in the Preliminary Written Round on February 4, and all the spellers who continued on to the Oral Finals. The Paris Spelling Bee is a community enrichment event organized by Gifted in France in collaboration with The American Library in Paris. The American University of Paris hosted the event for the third year in a row. Pronouncers for the Gazelles were Charlie Trueheart, director of the American Library in Paris, and Celeste Rhoads, the library’s Children and Teen Librarian. Naida Culshaw was the pronouncer for the Cheetahs. A Spelling Bee requires contestants to spell a word out loud correctly; the winner is declared when she or he is the only person to spell a word correctly in a round. Words for the Paris Spelling Bee’s Oral Finals were taken from “Spell It!” an official study guide published by Scripps National Spelling Bee in the United States in cooperation with Merriam-Webster, Inc. The list is often used in regional spelling bees in the United States and features US spelling. membership to the American Library in Paris along with an ALP tote bag. Second-place winners also received a trophy and a tote bag from the library. 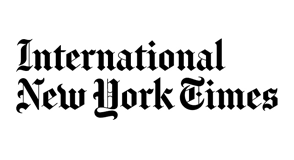 The International Herald Tribune donated a copy of “120 years of Front Page News: 1887-2007,” to each finalist plus delivered the weekend paper for members of the audience. Gifted in France provided the trophies plus medals and certificates for finalists. For each participant, the American Library in Paris kindly gave a book, and Paris Spelling Bee volunteer Kim Siew Ngoh prepared homemade treats. Marc Labat provided designer watches to every finalist. Starbucks generously donated coffee, pastries and other treats for the audience at the Oral Finals. Karen Simpson, Amy Bereiter, Bettina de Catalogne, Rose Burke and Janet Sahin in the US. Many thanks also to Dr. Celeste Schenck and Susan Mackay of the AUP; Celeste Rhoads; Mathieu Motta, Phillip von Eiff, Frank Connelly, Laetitia Nail, Cecilia Baron, Stuart Culshaw, Josh Hakim, Elizabeth Farhi, Ursula Liu, John Newman, Matt Benz, Lee Lee Camilleri, Julie Casara, Anita Youngblood, Emma Burke, Eloise Loh, Hazel Tan, Loretta Fox, David Whitehouse, Monia Hamani, Shannon Connelly, Julia Connelly and Chrise de Tournay Birkhahn. A special thanks to all the families and schools who have supported the PSB over the last six years. Here’s an interesting and humorous blog, maternal dementia, written by a parent who blogs about life and motherhood in Paris. This entry is about her daughter’s experience, as a four time participant in the Paris Spelling Bee, before taking the winning title in the Cheetah’s division. Check back here to find out more information about our upcoming events and latest news. Vaishnavi Sridhar tying in 3rd place with Charlotte Kundi in the 2013 Paris Spelling Bee Gazelle’s division. 2013 Cheetah Finalist kicking off her division’s competition with the reading of “Our Deepest Fear” by Marianne Williamson. Welcome to the 6th Annual Paris Spelling Bee (PSB). Registration for the 2013 Bee is now closed. Here are some important dates for your 2012-2013 calendar. Please also see the updated ‘pages’ on 2013 Invitation, FAQs and 2013 Registration Form on this blog. Saturday December 1, 2012 — Language Comes to Life — Time 12h00-13h00, at The American Library in Paris. Come learn what’s the big deal about prefixes and suffixes in the English language. Space limited to 12 children, to RSVP please email Celeste, the youth librarian at rhoads@americanlibraryinparis.org. Saturday January 12, 2013 — PSB Family Pizza Movie Night — 18h30-21h00, to be held at the ALP. Join us for a special screening of the movie Akeelah and the Bee. Please RSVP by filling out this required online form. Space limited to 80 people. Deadline is January 5, first-come, first-served. THIS EVENT IS NOW FULL. 12 November 2012– Paris Spelling Bee Registration Opens for children in CE2-4ème. Please click here or go to our 2013 Registration page on this blog for a copy. Thursday January 17, 2013 — Registration Deadline!! Last day to register for the PSB. Registration is first come first received, and limited to the first 100 applicants. To add your name or your school’s contact to our electronic updates, please email parisfrancespellingbee@gmail.com or sign up through the blog. Saturday February 2, 2013 –PSB Written Preliminary Round — for preregistered participants. Tentative time is 09h00-13h00. Location to be announced. Confirmation, by email, will be sent to preregistered participants. Twenty Finalists will be chosen from each division: Gazelles CE2-CM2, Cheetahs 6ème-4ème. Study List for the Preliminary Written Round is available under “2013 Study Guide,” page or by clicking here. The study guide will be emailed to registered participants. Finalists chosen from the February 2 Preliminary Written Round. To be held at the American University of Paris. Study List for the Oral Finals of the Paris Spelling Bee will be made available to Finalists after the Written Round. Sunday April 7, 2013 –Oral Finals of the Paris Spelling Bee – Tentative time is 10h00-16h00. This event is open to Finalists and their invited guests. To be held at the American University of Paris. To sign up for PSB updates and registration information, or if you have questions about the Paris Spelling Bee, please email Helen Sahin Connelly at parisfrancespellingbee@gmail.com. The Paris Spelling Bee is organized by Gifted in France, in collaboration with the The American Library in Paris and hosted by the American University of Paris. PSB is grateful to the ALP and AUP for their continued support of this community-wide enrichment event open to children throughout Paris. The 2012 PSB drew more than 110 children, grades CE2-4ème, from over 30 schools in the greater Paris area. Twenty students from each division, Gazelles CE2-CM2 and Cheetahs 6ème-4ème, advanced to the Oral Finals on March 25, 2012. For more information about the 2012 Bee and the winners- please scroll down. Best of luck to everyone entering or following the 2013 Bee. We are very excited about our 6th season! Helen, Ashley, Naida, Amy, Jude, Cate and Kim.